Home Gotta Getta GUND GUND Plush GUND Cubbins™ Dark Brown 18"
GUND Cubbins™ Dark Brown 18"
18" Dark brown shaggy plush, cream plush muzzle, inner ears and paw pads, dark brown floss nose, shinny black eyes, sitting position, non jointed. Surface washable. 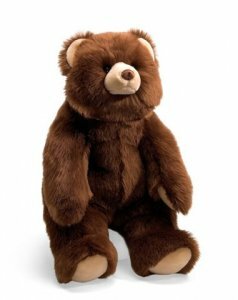 Notify me of updates to GUND Cubbins™ Dark Brown 18"